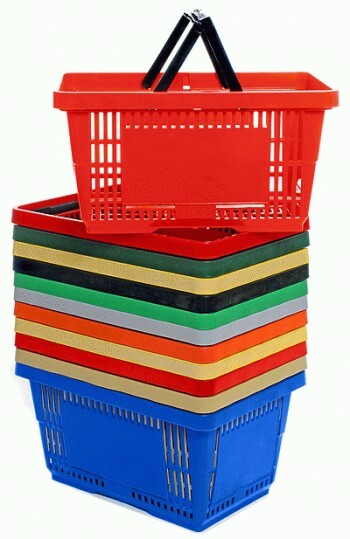 Made of 100% polypropylene material for strength and durability. Small nesting ability saves valuable space! 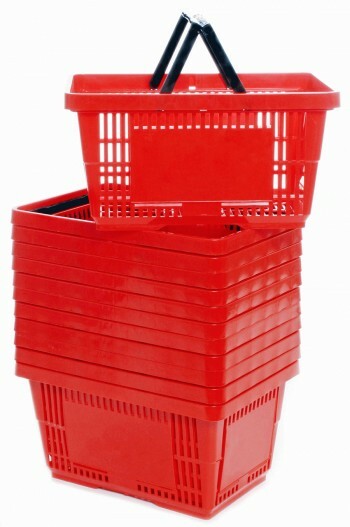 Features strong plastic handles molded for comfortable and easy carrying. 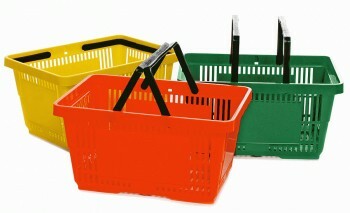 Handles fold away when used in EZCart. Large capacity for increased sales. Nests to save space. Modern styling for clean professional look. Extra large logo panels on 4 sides to prominently feature logos. Measures 19-1/4"L. x 13-1/4"W. x 10"H. Available in Black, Gray, Red, Blue, Green, Orange, Yellow or Tan - please specify. Sold in units of 12. Ships UPS. FOB Shipping Point.